Less Zorro, more Tarantino. 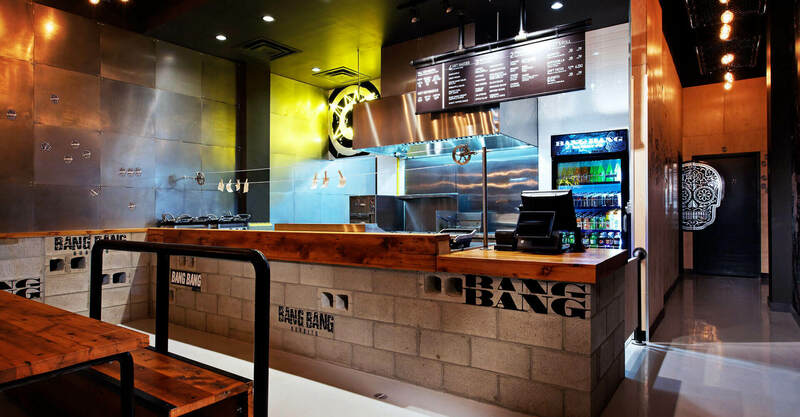 We went hard to create the face-stuffing atmosphere in this tasty new concept with a limited construction budget. Picture a back alley taqueria somewhere in Mexico, only with incredible food and way less risk. Prison chic is the new black with a revolt against the over-cooked bag ‘n boil Mexican concepts currently in the marketplace. 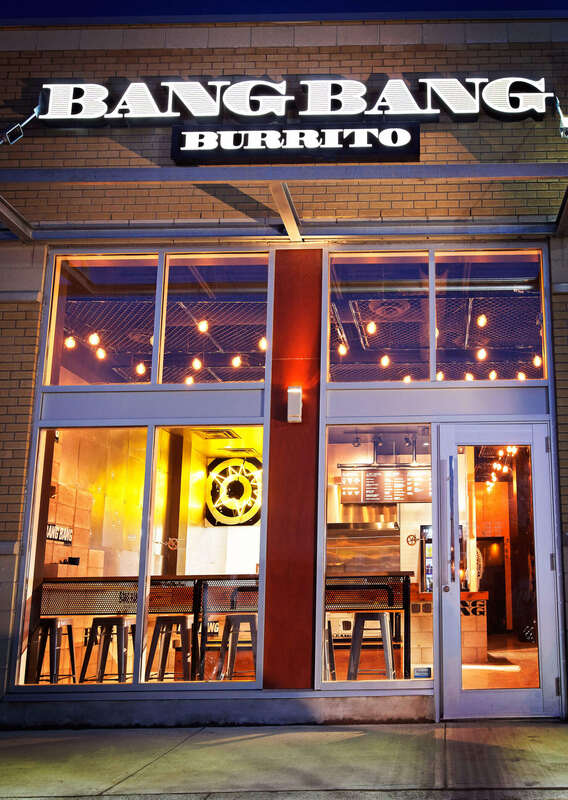 Mexican fast-casual has hit a delicious new low, and we jumped all over it. 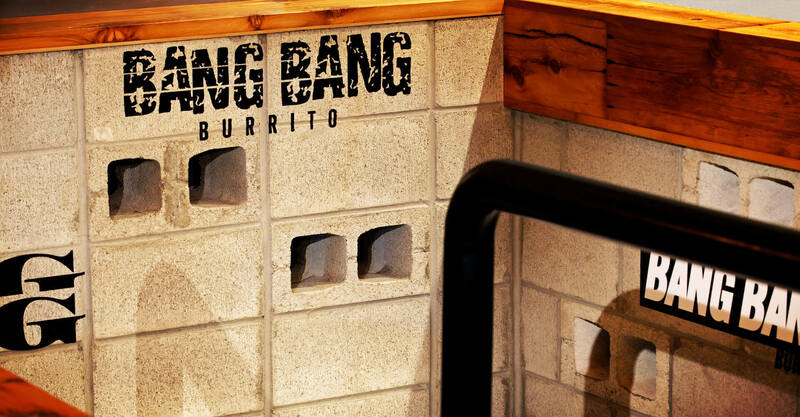 Introducing Bang Bang Burrito, a concept with street cred from Brent Poulton and Kyle Sherwin (of St. Louis Bar & Grill). 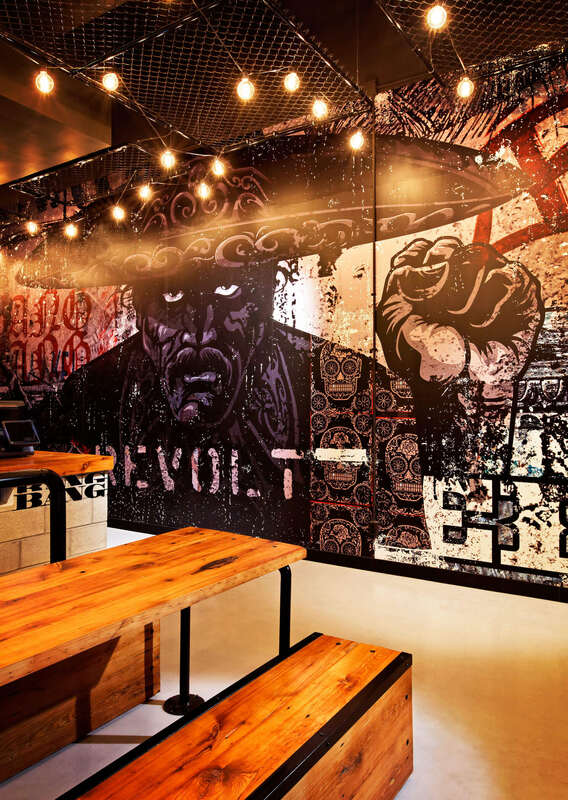 Inspired by a vault of slow-cooking Mexican recipes, the franchise-minded restaurant owners called us to kick their edgy plan into action. The down and dirty food is to blame. We’d do anything for it. 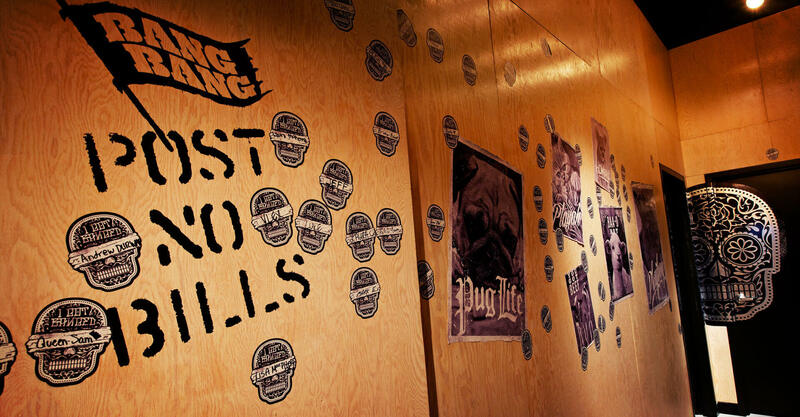 Tongue slapping recipes filled out the bones of this concept and the design team shot it up. The burritos are hard-core. They’re big, sloppy, and legit. 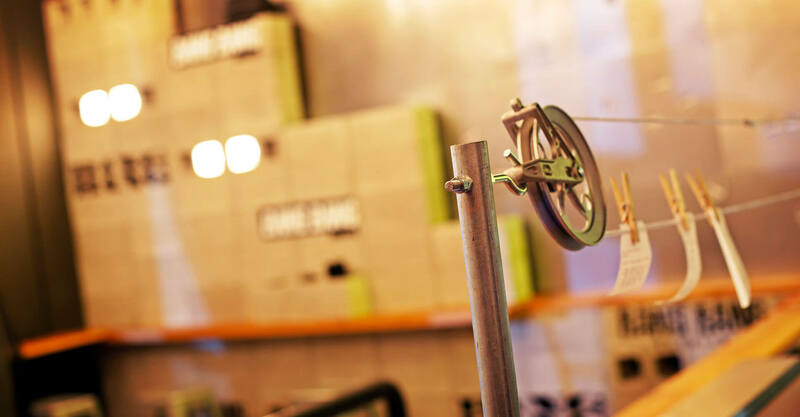 Pumped with slow-smoked meats and natural ingredients, they’re all real and all made on site. 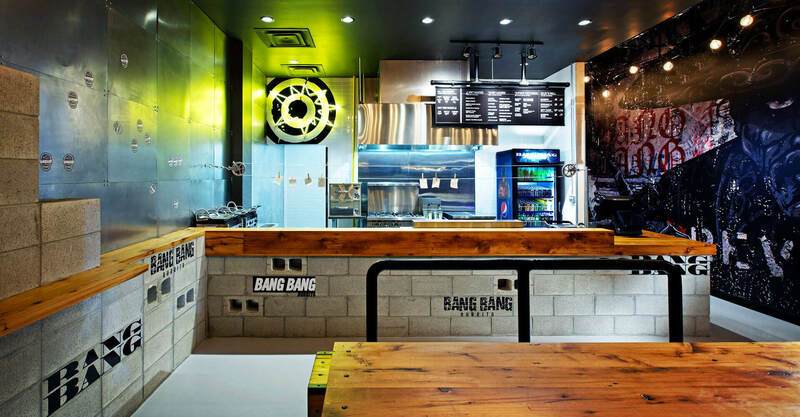 Cold, unforgiving materials like cement cinder blocks, chain link fence, hot rolled metal and galvanized steel stools are contrasted by the buttery smooth reclaimed wood used for the tabletops. The design is edgy enough to lure people in and comfortable enough for them to stay. The vibe is raw and awake – proper meal times don’t apply. Whether it’s the nooners, snackers, or after bar rollers, this kitchen is always hot. 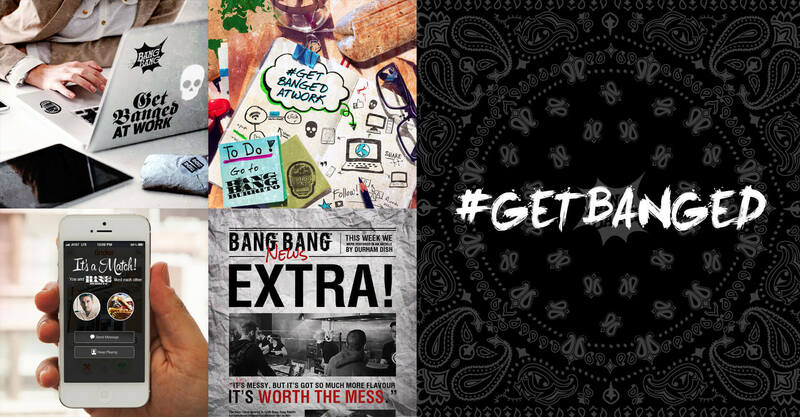 Images of revolt and anti-establishment litter the walls to capture the idea of anti-brand. 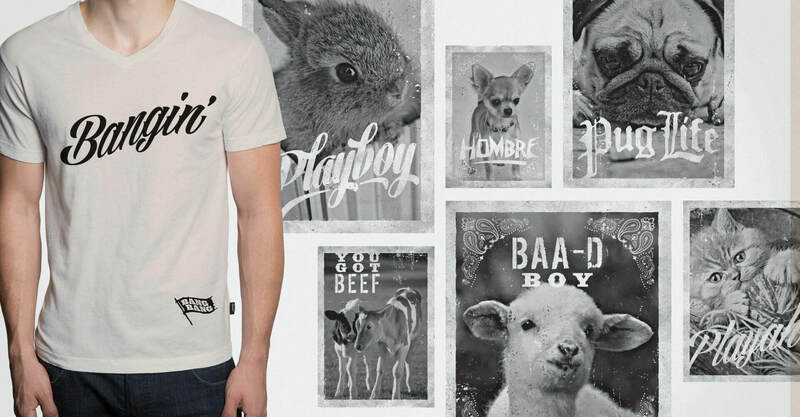 The use of mural imagery emphasizes the grungy feel, like worn out billboards and graffiti splattered holes. 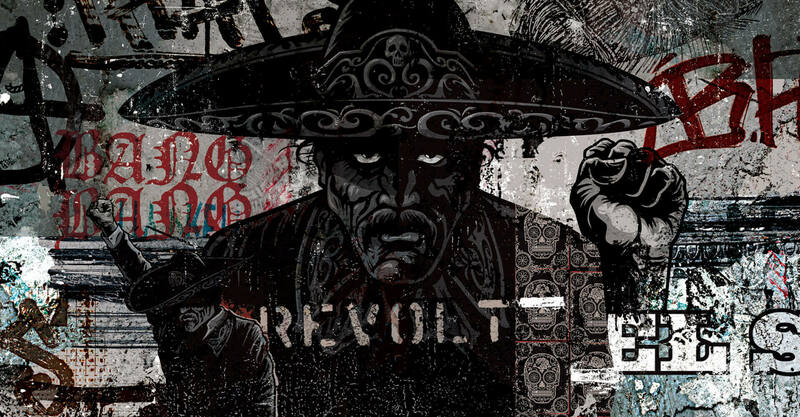 The massive portrait of the Federales plastered on the wall is the most haunting of all. To offset the darkness, absurd and quirky posts help to lighten the mood. Despite the ‘Post No Bills’ signs, guests can make their mark with stickers and absurdities. Nothing like a little controlled defacing to rile up the guests. 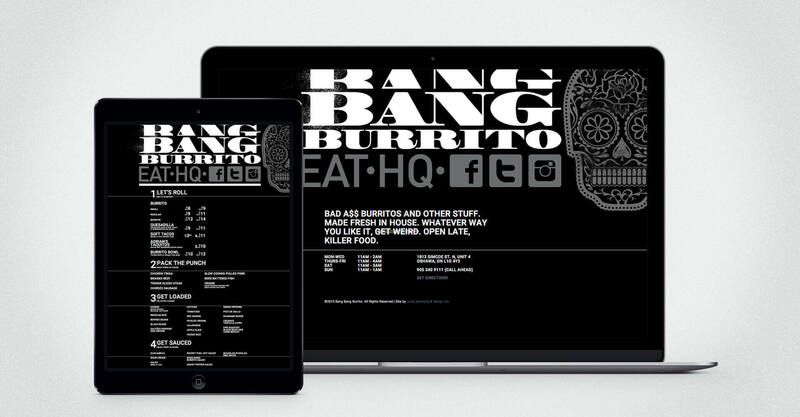 Getting Banged Online: The Bang Bang website is designed for simplicity, putting the menu up front on an edgy black background that mimics the in-store execution. Aside from social media links, the only other option is for hours and location, keeping the site lean and mean. 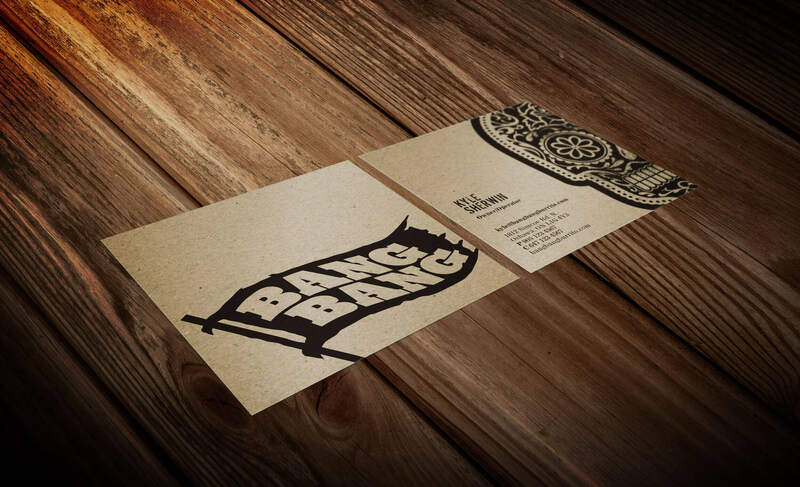 We also developed and managed the Bang Bang social media accounts, growing Facebook fans to over 1000 in less than a year with promotions such as the popular “Get Banged At Work” contest, which brought free lunch for 10 to workplaces in and around Oshawa.